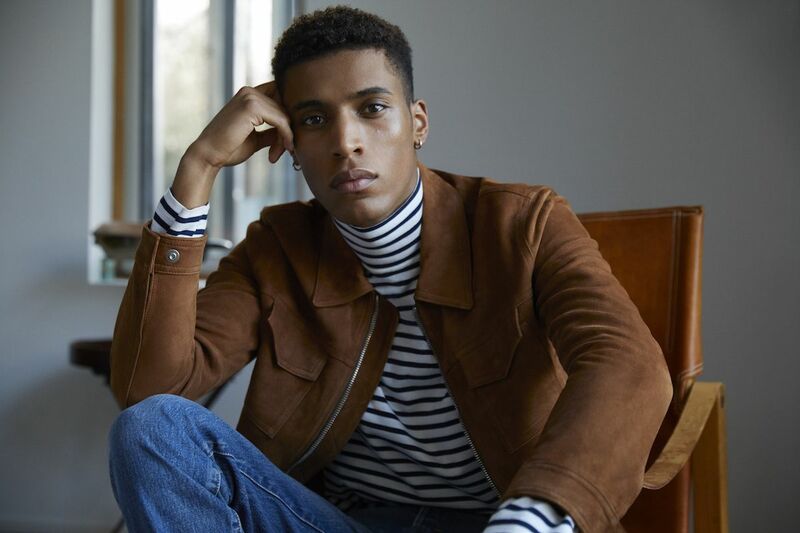 As the Style Director of Mr Porter, Olie Arnold works closely with the design team on curating the website's offerings; Mr Porter now boasts nearly 500 brands (it's hard to imagine the e-tailer began with only 60). The website has something for everyone, from fashion-forward items to classic gentlemen essentials, to an array of accessories, sports equipment and fine watches. We catch up with Olie on his recent visit to Hong Kong to see what’s in store for the coming season and for Mr P., Mr Porter's private label. First thing’s first, what are the biggest trends you see happening for SS18? I think the obvious one is the big shift into streetwear. It has a huge influence on menswear, and we’ve seen it steadily happening over the past few seasons. We just came back from our FW18 buying trip, and you can see that it has an effect on all brands- even the traditional, old houses. We are also seeing bigger volumes, so things that are more oversized. It’s a tricky trend to get away with, but we’re seeing wider trousers, bigger outerwear with drop shoulders and things that fit a bit looser. When it comes to colour, men are generally creatures of navy and grey, but we've spotted a lot of off-colours and shades that are in between—like teals and clays—and that’s a trend that’s more easily digestible for a wider audience. What about the new brands we can expect on the site? We just launched Fendi, Alyx and Off-White. Another label that I’m quite excited about is President’s, a label from Florence. It’s actually been around for a while, but it has a youthful energy. There are some great summer pieces we can expect from them, and I vividly remember him referencing Biggie Smalls in the design of his collection, it’s not every day you hear 90’s rap reference in a collection out of Italy! Mr Porter isn’t always just about following the latest trends, but rather focusing on building a curated wardrobe. What are three essentials every man should have in their wardrobe? I’m a firm believer of starting from your feet up. I have more shoes than my wife, and we have to jostle for space in our wardrobe. Generally, you can make an outfit with a good pair of shoes. If your outfit is great, and your shoes are terrible, it can quickly kill an outfit more so than the other way around. A great blazer is also something you can easily up your game with. Something versatile and more casual. Finally, a pair of selvedge denim jeans—if you treat them well, they will last you a long time. Do you consider men to be brand loyal in general? Guys are so loyal. When they find something that works for them, they generally stick to it. It makes a lot of sense, but in a way, it’s harder to persuade them to try something new. That’s actually something we factor in when we create for Mr P. We want to keep the aesthetic and style consistent, and also the fits. What are some brands that you are loyal to? Dries van Noten is a brand that I go back to quite a lot. I just watched his documentary and seeing how he works in his story is pure genius. His ability to combine fabrics together is unparalleled. I also like jackets from Sacai or Soloist from time to time, but those are pieces that I may take out only a few times each season. Lastly, what are three things you’ll be buying from the Mr P SS18 collection? I’ll be getting the suede jacket in tobacco leather for sure. It’s such a trans-seasonal piece. The camp shirts with wide stripes are a great summer piece and also the thick jersey raglan short sleeve. It’s a style I remember my father wearing when I was younger, so it has that nostalgic feel behind it.